Baked Tortilla Chips with Salsa for Tortilla Chip Day! Home > Recipes > Baked Tortilla Chips with Salsa for Tortilla Chip Day! 24 Feb Baked Tortilla Chips with Salsa for Tortilla Chip Day! Happy crunchy Tortilla Chip Day! It would be interesting to find out who exactly comes up with these national wacky holidays and when they decide to have them. 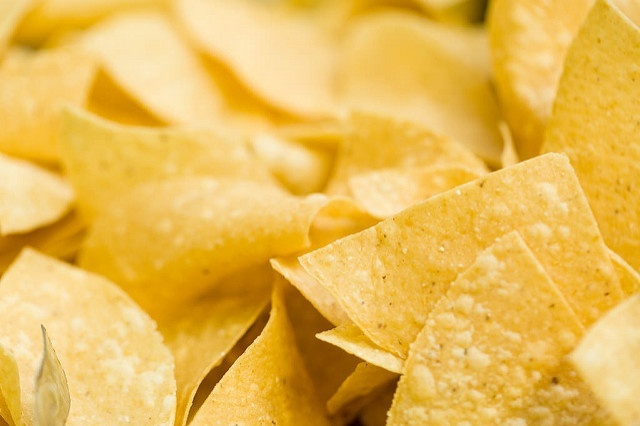 How do they get everyone to agree today should be national Tortilla Chip Day? Do they work with the leading national tortilla chip manufacturers? Questions to be answered for another day perhaps because today we are baking tortilla chips and pairing them with homemade salsa! Baked tortilla chips are a much easier option to make at home – not having to working about getting the oil the right temperature, not having to actually fry them. Just pop these little gems in the oven, wait 5 minutes and you’ve got chips! Plus, they are healthier for you too! And once paired with our easy to make salsa, there is no better snack for the day. Enjoy! Our baked tortilla chip and salsa recipes comes from our cookbook A Taste of LeCroissant, which can be purchased on Amazon, and features dozens of appetizer, dessert, entrée, and salad recipes from our kitchens.